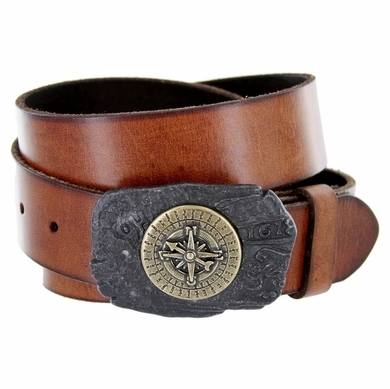 Antique Brass Rustic Pirate Nautical Sailor Compass design buckle paired with our high quality leather strap in either Black, Brown, Tan, or White. Looks cool with any outfit and adds a flashy touch. Sizing: Measure Around where you wear the belt, with your pants on, and order that size.